This week I am visiting my mom in Mt. Shasta, which means, among other things, limited access to internet because her house in the woods is wired only through dial-up, and I am not patient enough for that kind of thing. Now, when I say Mt. 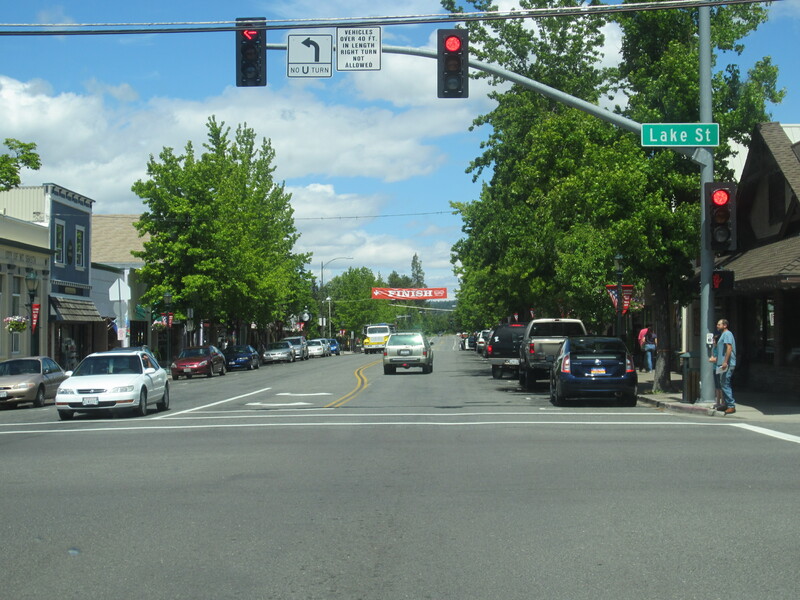 Shasta, I mean the little town at the base of the mountain, not the big party lake an hour away with house boats and drunk spring-breakers. It is easy to drive through Mt. Shasta on I-5 heading to or from Oregon and not even notice it. From the freeway, you can’t really tell there is a cute little town filled with shops and restaurants. But, that’s not really what you come to Mt. Shasta for anyway. The first time we visited Mt. Shasta, back when my mom still lived in Sacramento, we came to camp. That’s really what you visit Mt. Shasta for, the outdoors. My mom lives five minutes from a beautiful little lake, Lake Siskiyou, and twenty minutes from an even better lake, Castle Lake, which is crystal clear and glass-like. Not to mention all the waterfalls and mountain vistas. Now all of this is good and well, but Mt. 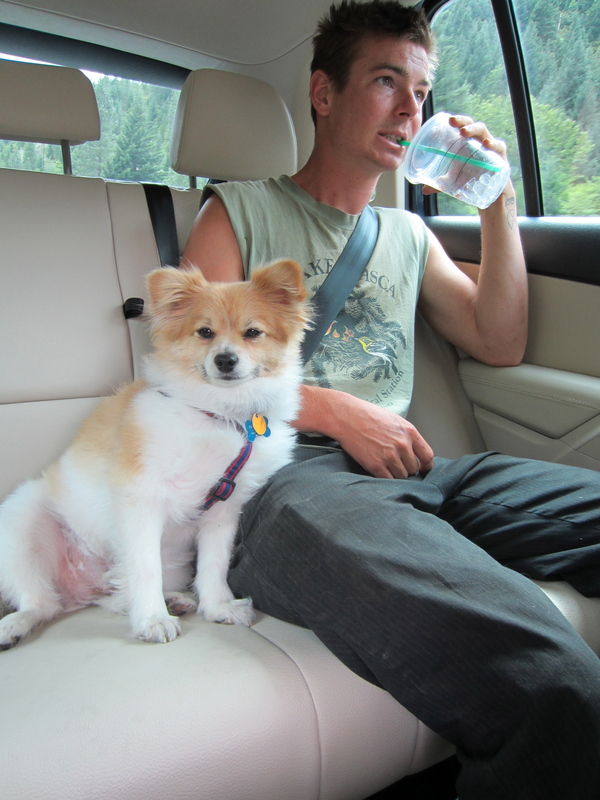 Shasta is also weird, which makes it more interesting. Good weird of course. It’s a mixture of red necks and hippies, which always makes for some good fun. If you did not already guess, my mom lands on the hippie side. In fact, one of my most memorable Mt. 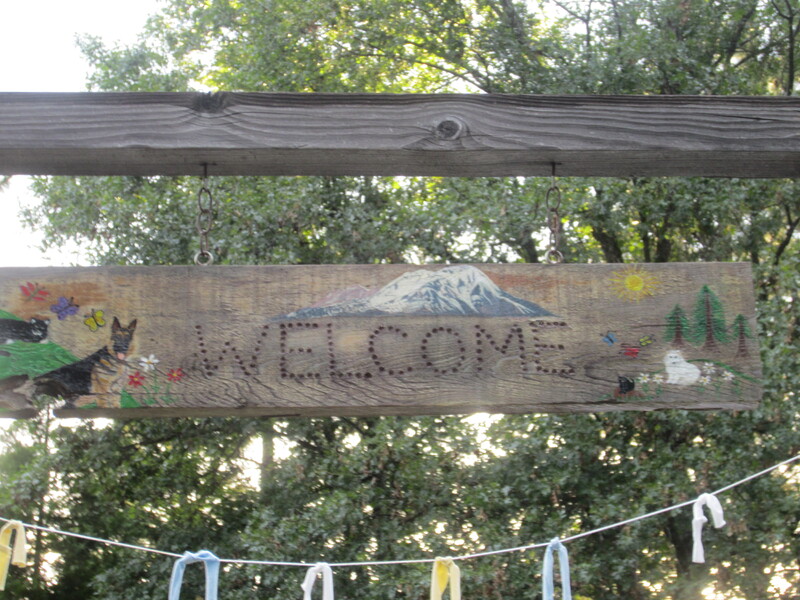 Shasta memories was when my mom hired a local Shaman to bless my marriage with a meditative ceremony. My weirdest Mt. Shasta moment, however, was the night my brother challenged Mt. Shasta to scare him. 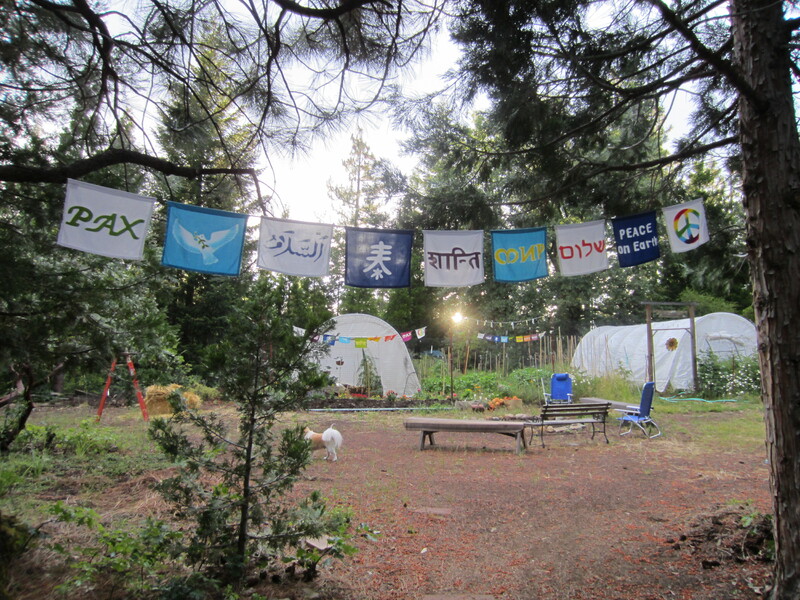 It is helpful background knowledge to know that my brother is the graduate of a pretty cool sustainable agriculture program in Bolinas and sleeps outside most nights by choice, so he’s a wilderness all-star. I, on the other hand, get spooked when we sit out under the stars, which is what started this whole challenge in the first place. My brother wanted to show me there is nothing to be afraid of out there, yelling his challenge into the darkness. That night, when we were all asleep in bed, we awakened to the sound of something pounding on the roof. And, when I say pounding, I mean our room was shaking, like something was jumping up and down over our bed repeatedly. My first thought, close the huge open window behind my head. As I slowly moved it shut, I feared I would attract attention. I did not want the thing on the roof to hear the window shut. I did not want it to get me. 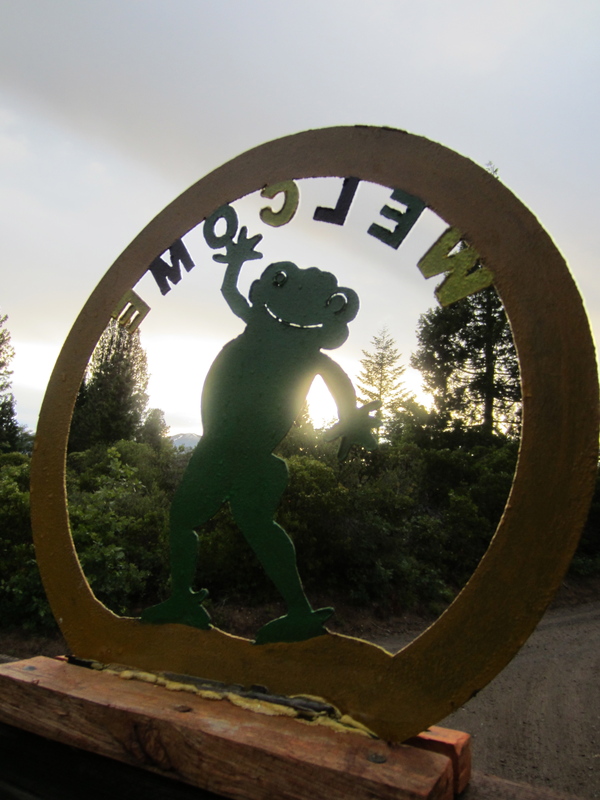 In the middle of the night, all of those campfire stories of aliens, big foot, and mountain lions really come alive. Granted we never figured out what the thing on the roof was, but my brother slept through it, undisturbed, just as he boasted. I, on the hand, was left equally afraid of the wilderness at night, if not more so. Mysterious scary beasts aside, Mt. 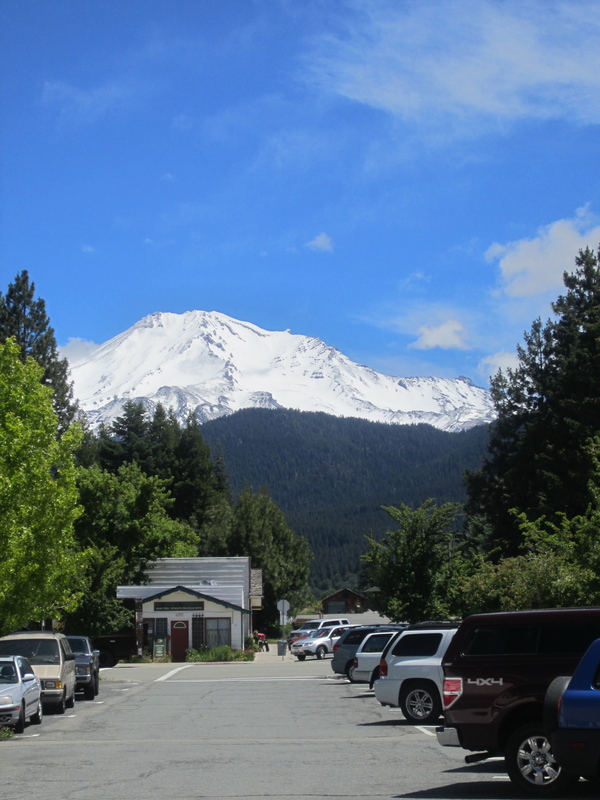 Shasta is an unusual place worth stopping if you’re ever driving the long haul on I-5. More pictures and stories to follow, I’m sure. My fearless brother headed up to my mom’s with me. Downtown Mt. Shasta getting prepared for the big fourth of July race. 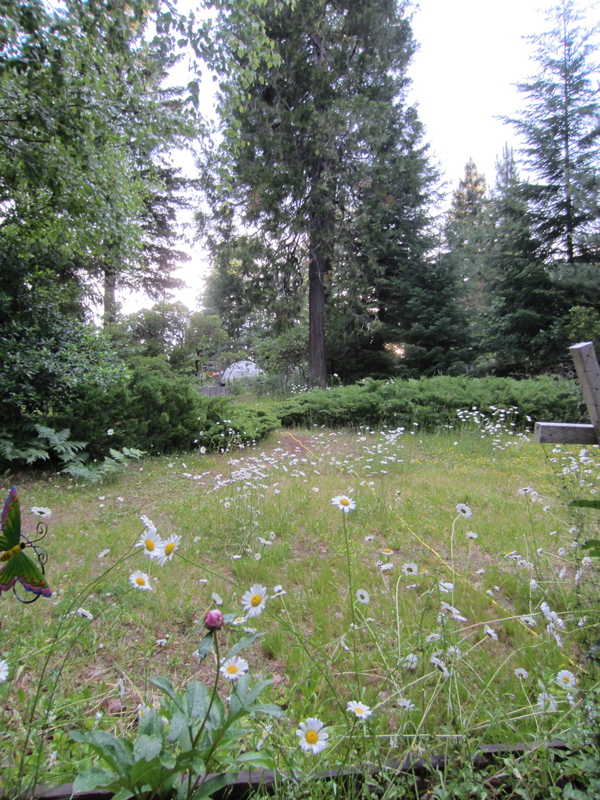 My mom’s front yard at dusk yesterday. Entrance to my mom and stepdad’s beautiful garden. Garden welcome sign pays homage to my beloved childhood pets. 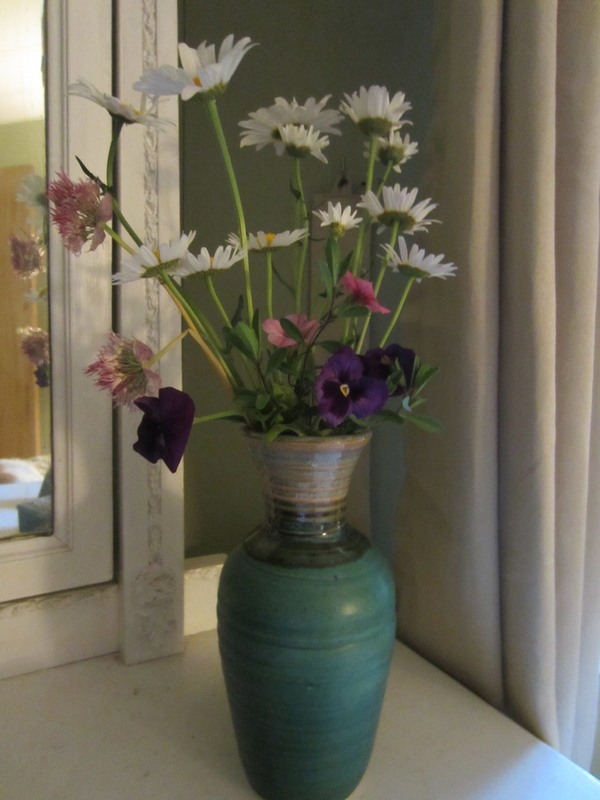 My mom always has beautiful flowers from their property waiting for me on my childhood dresser, I love how she arranged the wildflowers at different heights. Sunset welcome to Mt. Shasta at the edge of their property. How can you mention Mt. Shasta and not mention its most famous landmark? Black Bear Diner. Sheesh! No way, Goat Tavern is the food of choice! Greeeaat! Now, I’m gonna have to go back to Mt. Shasta. Too bad my writing vacation coming up in a couple of weeks is in a different direction. Next time. Where are you headed? I’m headed to Caples Lake near Kirkwood. Five glorious days … just me and my laptop … and, well, a few beers and hopefully some good food. Your mothers garden looks amazing! Take me next time Liv! Beautiful garden! I love how whimsical it is! Have a good visit!